Welcome to cornershirt, home of easy online shop and make your style be a look a like. 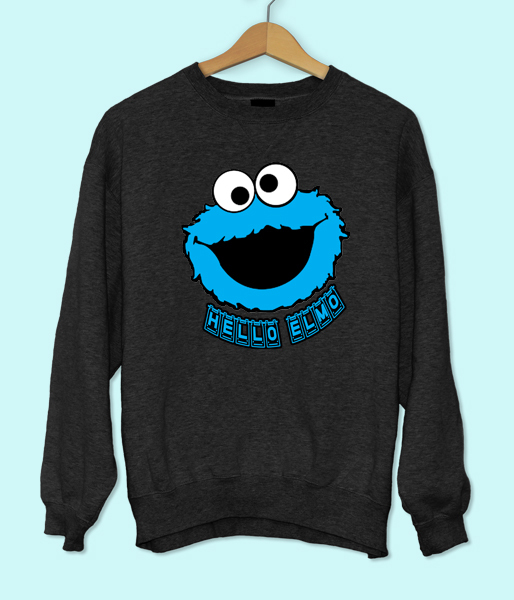 Hello Elmo Sweatshirt is the original design that we have created in our studio. The words used in the title and or search terms are not intended to imply they are licensed by any rights holders. Hello Elmo Sweatshirt is great for anyone who enjoyed the show and it’s a cool option for a casual Hangout. – If your purcase not fully satisfied, Please contact me immediately So I will try my best to resolve your concerns.